Ryan is a Global Keynote Speaker and Managing Partner of InfluenceTree, a personal branding accelerator that teaches people how to build their brand, get featured in publications, and grow their social media following. Ryan’s clients include New York Times bestselling authors, venture capitalists, and Fortune 500 executives. His 3-1-3 Method and 4V Experience helps executives navigate the waters of what to do, in the right order, to help them harness the power of vulnerability and authenticity to build a better, more relatable, more profitable brand. Recognized by Inc. Magazine as a Top Marketer and named a Top Personal Branding Expert by Entrepreneur Magazine, and a 4 time TEDx speaker whose talks have been named in Top TED lists by Forbes, Mashable, and Inc. Ryan works with thought leaders to create and syndicate content that reveals their whole self to drive differentiation, growth, and loyalty. By positioning the expertise of people within companies as the core talent behind the corporate brand, I help to drive reputation, trust and more clients to their businesses. Use your failure, mistakes, and vulnerabilities to fund your success. How do I know this? I speak about it across the globe, and I wrote the book on it. My book, co-authored by Leonard Kim, is called Ditch the Act: Reveal the Surprising Power of the Real You for Greater Successt. It takes a strategic approach to this little-known secret to help you build an authentic, long-lasting personal brand. We explain why exposure is important and how it helps cultivate more durable connections than any polished persona can, and how to use stories of failure and weakness in ways that build trust and loyalty from large audiences. It is a proven guide to building a powerful personal brand through the fearless admission of just being human. The problem: People are getting weary of—and, frankly, seeing right through—the oversized egos dominating the business world today. The solution: By building a personal brand that is honest and authentic and that reveals personal struggles, you can build stronger, longer-lasting relationships—and achieve greater success. My Market: Business professionals who are finding it harder and harder to break through the noise, who want to gain more respect and more followers by being their natural, flawed self instead of pretending to be perfect. Read on for more about who I am and where it all began! I grew up in Huntington Beach, California. 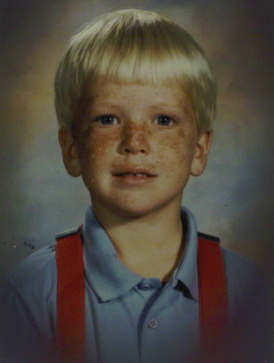 I was the freckle-faced kid at school who got made fun of, not only because of my freckles and sun-bleached hair but I think my favorite my red suspenders flagged me as a “nerd”. To make matters worse, both of my parents were principals. Thankfully not at my school, otherwise live would have even more miserable. But, I still felt like an outcast and struggled with fitting in. I was an eager student, which was great for teachers, but not so great for making friends. My neighbor hated me so much that he kicked me and bit me on many occasions. It was terribly painful! I was always the outlier, the easy-target, the kid who never got picked for sports teams. My mom felt so bad for me that she bought me a basketball of my own, but it didn’t change the fact that I had no one to play with. This taste of ridicule and harassment at such a young age only made me stronger… after I enrolled in TaeKwondo that is. I will remember that moment forever when the tears stopped. Martial Arts gave me confidence and I loved it. I went on to earn my black belt and have continued training on and off ever since. 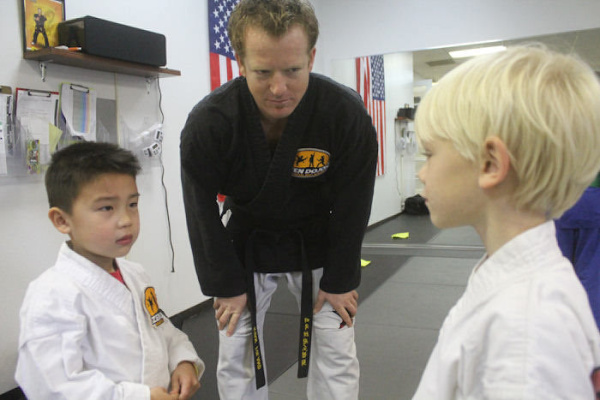 I enjoyed teaching martial arts because it gave me the opportunity to teach and empower children with the same valuable lessons I had learned myself: to have the confidence to stand up and speak out against bullies. In high school, I wrestled and was the meanest 119-pound ginger in town. I made the Varsity team as a freshman and became famous for body-slamming people three times my weight class. I channeled all of my anger from being bullied and turned it into match-winning motivation. I also discovered a passion for pole vaulting, initially trying it out as a joke, but somehow made the team. I flew high, like a butterfly, as I curbed my body over the high bar. The mental and physical challenges that came with running as fast as you could with a 14-foot pole, followed by flinging yourself into the air to surpass the height of your previous jump thrilled me. All I wanted to do was fly higher. What Would Kelly Hrudley Do? I was a devoted Los Angeles Kings fan and played ice hockey my entire youth, and of all positions, I chose to be the goaltender. I idolized the King’s goaltended Kelly Hrudey, and one time I snuck into their locker room, met him, and for a moment, the world stopped. I might have been small for a goalie (as most covered the entire goal with their bodies), but I was the fastest goalie in town and had moves that put Mick Jagger to shame. Losing only fueled my fire to be an even better goalie. I ate pucks for breakfast, lunch, and dinner. It was a great time. Funny full circle fact: I was eventually elected Senior Class President by the same kids who had bullied me in elementary school! I attended college and got two degrees, with honors, at the University of California, Santa Barbara, and eventually got my MBA. After dreaming of becoming a movie producer, I tried to break into Hollywood. I ended up on sets like The Practice, where I met William Shatner, but took him to the wrong studio, and that was when I realized that famous people get angry fast. I was a grunt, a page, a go-for this and go-for that. My excitement faded when I realized that it would take almost 30 years to move up the movie ranks. I transitioned to the mortgage industry, made lots of money, and somehow spent it all. Then I found myself, like many other loan officers, out of a job when the market crashed in 2008. At a low point in life, and not being able to make ends meet, I took on a variety of jobs from construction to teaching karate. With a mortgage, thousands in credit card debt, and not enough money to pay the bills, I hit rock bottom. I was drinking a lot to cope with everything falling apart, and I ended up with a DUI. I tried to hide it from everyone, and it took me over 10 years to share that it happened with my parents. I was ashamed, broke, lonely, embarrassed, and stopped going out. The bills stacked up, and my house went into foreclosure. I took out student loans, and didn’t spend it on school. I got a roommate to help float some bills, but then he moved out one day and took my car. I never saw it again because he got a DUI and the car was impounded. I didn’t have any money to get it back. Everything that I had worked so hard for fell apart in front of my face. With a heavy heart, I asked my parents to borrow money to hire a bankruptcy attorney. Up until this point I was very secretive about everything that had gone wrong. It was my rock bottom. I remember trying to talk to my mom and dad and I couldn’t talk. All I could do was cry. It was miserable. They helped me with the cash to hire the attorney and I mailed in an application filing for bankruptcy. That was a tough pill to swallow. Two weeks later, I found the application in my mailbox, returned to sender because the postage was .32 cents short. I knew that the world was speaking to me. Bankruptcy was NOT the right decision. I stood there, bankruptcy paperwork in my hand… then tore it up, right there, in front of the mailbox (then I cleaned it up because I felt bad for littering). I made a commitment at that moment to work my way out of the hole I was in. During this time as I was trying to make ends meet, I made a decision that ultimately ended up being one of the worst decisions of my life, but more on that later. I enjoy giving back to the community. 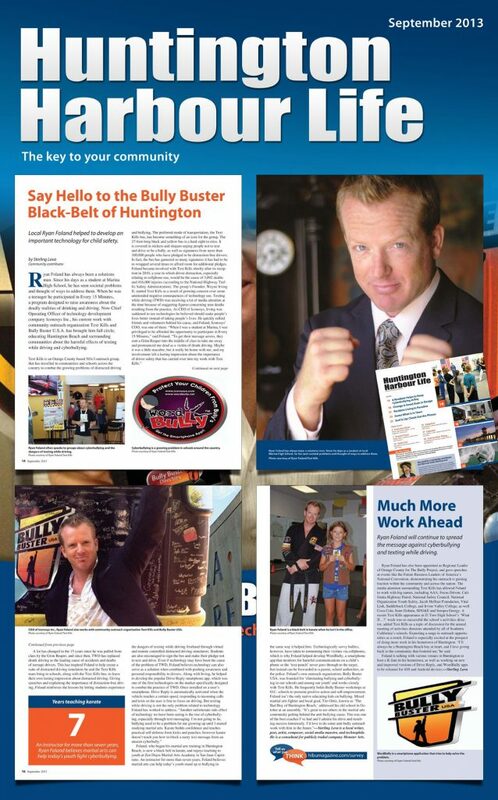 In 2011, I turned my focus to my passion for helping kids who were being bullied. 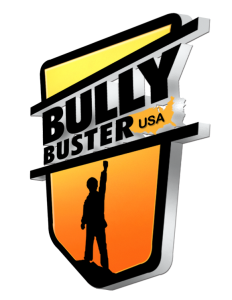 I started a program called Bully Buster USA®, and traveled around Orange County, putting on Anti-Bullying workshops that I developed for middle school and high school students. 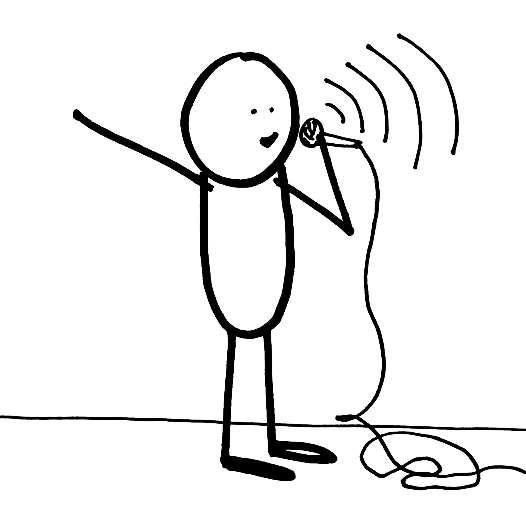 The work was extremely rewarding and marked the beginning of my pursuit to improve my public speaking skills. Recognizing the rise of cyberbullying, especially as the use of cellphones rapidly increased across all ages, I took to technology and helped create one of the first anti-cyberbullying apps called WordBully. 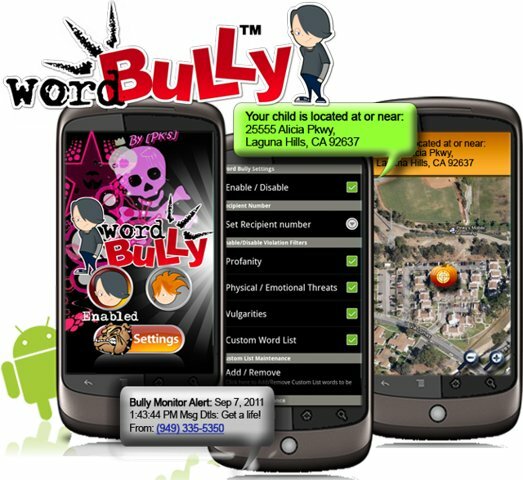 The app prevented identified words from reaching targeted phones and notified parents if their children were either being bullied or were being bullies. My involvement in bullying education and the development of this app idea helped to connect me to an app development firm that focused on child safety apps, and I ended up working with them as Chief Operating Officer. I gained extensive startup experience, as each app we developed in-house was treated like a small company. We also helped develop mobile applications for many other businesses, from mom and pop organizations, like Dana Point Whale Watching, to Fortune 500 companies, like Del Monte. When my contract was completed with the app firm, I decided that I wanted to work more closely with entrepreneurs and startups to help them on their journey; leveraging my life experience to help them learn both what to do, and more importantly, what not to do. In 2014, I was hired as the Assistant Director of a new entrepreneurship center called the Blackstone LaunchPad, at the University of California, Irvine. It was just the position I was looking for, as it gave me the opportunity to help students learn from the would-have, could-have, should-haves of my failures and mistakes. One of my most costly mistakes also surfaced during this time, when I was served and dragged back into an FTC Investigation regarding the company I had left in 2011. This process was one of the most difficult things I have ever dealt with, both mentally and financially. I accepted a settlement with the FTC in 2015, and have since been focused on moving forward with my life. I continue to try and turn this negative situation into one that has a positive outcome by focusing on teaching others to learn from what I have gone through. The saving grace from it all, was realizing the importance of being real, being human, and being flawed. This ability to be human, and honest with those around me, is how I met the love of my life. When I met her, I told her I was broke, and had nothing to offer buy what she saw. That transparency is what started a relationship that has been strong and loving for 10 years. The importance of facing my fears, and being true to myself, my values, and my ethics is what has helped me to land jobs that I love, and work with amazing people, and the ability to share my story from stages all over the world. My story is one of highs and lows that I hope could serve as a cautionary tale of hard lessons learned. I am the person you see here today because of all my life experiences, both good and bad. I live with my head high and know that my heart is in the right place. People who only judge me based on my past without knowing my story, don’t really know me, who I am, or what I stand for. My book, Ditch the Act, is a way for people to not only get the full story, but allows them to learn how the process of being honest with yourself and others about what is not going right, is the one thing that helps you create real connections. I wake up every day and love what I do. I am a passionate and creative person who loves helping people solve problems. I love helping today’s top leaders improve clarity and increase connection by learning to be themselves. A big part of what shapes who I am is where I spent my summers growing up. Every summer, my family would get on a boat and cross the channel to Catalina Island. We would spend months on a boat, enjoying the simplicity of nature, and creating things with what was available (mostly rocks and bamboo). Catalina is like my home away from home. I say that it is the closest furthest place I can get, and I am always appreciative when I can get there. My time in Catalina has sparked a love for sailing. There is something amazing about harnessing natural energy into motion. I see life as being similar to sailing. My favorite quotes is, “You can’t choose the direction of the wind, but you can change the direction of your sails.” Life, like sailing, it is all about using resources as best you can to try to reach your destination. Thanks for taking the time to learn a little bit about me.